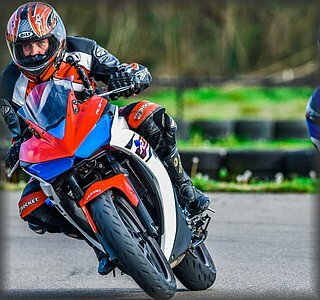 Riding season has arrived after a wet and unpredictable winter. 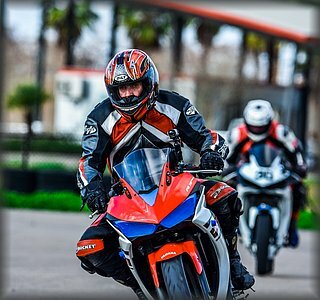 The first Louisiana Chapter spring lunch ride was a big success with 11 riders participating, story below. 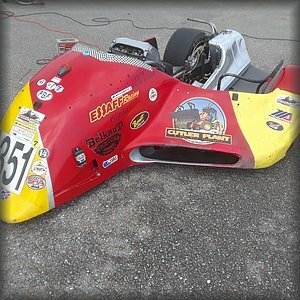 The first of many regional MSTA events is underway in North Georgia this weekend. Check the MSTA website for an event near you. 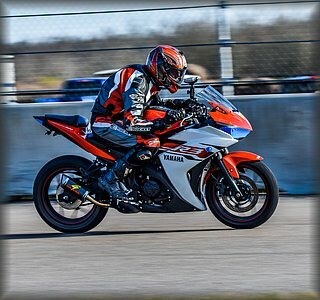 Personally I have gotten back into track days and NOLA Motorsports Park is starting to feel like a second home. 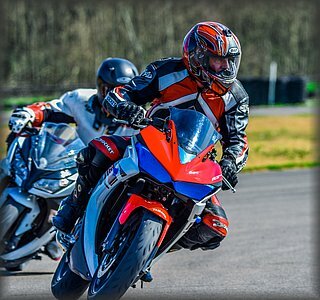 I rode open Open Track Days on the big track January 27 and March 7 and half days on the Go Kart track on February 6, February 16 and April 3. 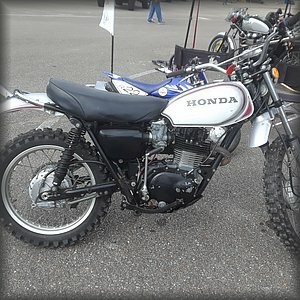 I also attended the AHRMA and CMRA races at NOLA in March. 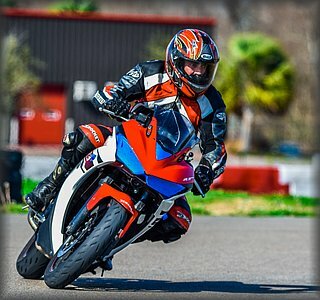 Also in March I rode to Daytona Beach to watch the Daytona TT flat track race and the Daytona 200 road race at Daytona International Speedway. 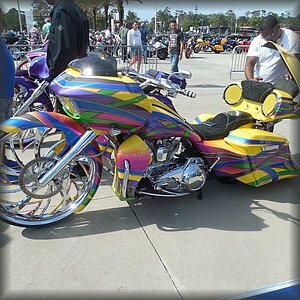 While I was there I attended the MSTA Bike Week Lunch in Eustis Florida. 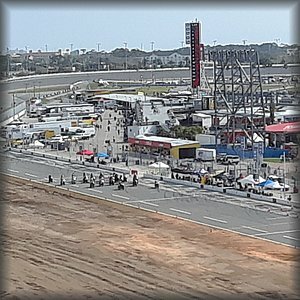 Below please enjoy my writeup of the Daytona trip plus pictures from the AHRMA Vintage GP and Show. Saturday, March 23 was the first of what hopefully will be regular monthly MSTA lunch rides this season. 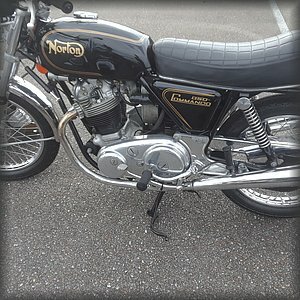 Tony Crowel and I planned a lunch ride meeting in Denham Springs and riding backroads to Kentwood, La including a short loop into Mississippi. We stopped for lunch at Skinney's in Kentwood. Attendees included Tony Kevin Yeats, Paul Lefort, Danny Toups, Mike Blanchard, Rod Fors, Chuck Boyland, Brent Herold, John Lipani, Eric Babcock, and myself. Since Direct TV dropped beIn Sports channel I am missing out on World Superbike and Moto GP race coverage. 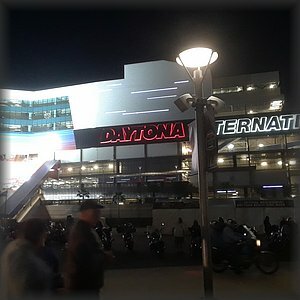 So to compensate I decided to attend the Daytona TT American Flat Track event and the Daytona 200 sanctioned by American Sportbike Racing Association and AMA. The flat track race was on thursday and the Daytona 200 on Saturday which gave me Friday to visit my good friends Chuck and Frances Headrick near Titusville. I met Chuck and Frances at the first STAR in June 1983 and we have been good friends ever since. 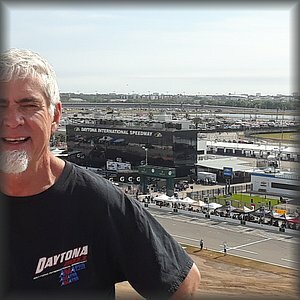 I attended my first Daytona 200 in March 1983 and did not miss another one for the next 15 years or so (until AMA down graded the race from 1000 Superbikes to 600 Supersport). Most years I would stay at Chuck and Frances place an hours ride south of Daytona. I was looking forward to seeing my good friends again as well as Daytona Speedway! In the weeks before the trip it accidently came to my attention that past MSTA president Dave "Brick" Brickner was planning to attend the races as well. 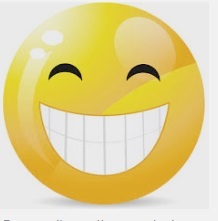 I'm not a huge fan of FB but it does serve a purpose as far as communication with far flung friends. Brick's original trip partner had to cancel due to heath issues so he agreed to share some motel rooms with me. 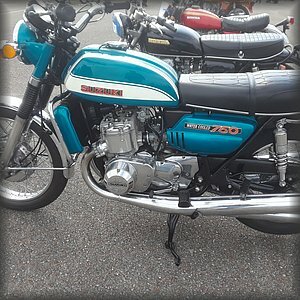 In the old days we would typically not stay in Daytona during Bike Week as the prices were sky high and 4 or 5 night minimum stays were required but times have changed and I was able to book a single night at the Days Inn a mile and a half from the Speedwayat a reasonable rate. This was good as the Flat Track races started at 7:00 pm and would end around 9:30. I try to avoid riding at night whenever possible! I left home on Wednesday morning on the Multistrada 950 and traveled back roads, LA 10 and MS 26 and US 98 to Wilmer where I then followed a series of county roads to my Mobile bypass. If you've read my travel tales you know I hate Interstate 10 and there is no easy way to get very far east of Louisiana without crossing Mobile Bay via I-10. At Wilmer I hop on I-65 for 27 miles to cross the Mobile and Tensas rivers, exiting at Perdido, AL. From there it was FL 4 and US 90 to Tallahassee, my stopping point for the night. 483 miles, a longer day than I prefer to ride but I needed to get closer to Eustis, FL in order to make the 11:30 MSTA Bikeweek Lunch the following day. I stayed at a Baymont Inn and had a nice meal at a Wahoo Seafood Grill. This is a great chain that I've seen in only a few college towns. They offer a wide selection of seafood prepared in several ways. I got the grilled Bluefin Tuna. and it was great. Thursday morning I had to hustle as I had forgotten about loosing an hour! I had planned a 220 mile backroad route but switched to a slightly longer but quicker route on I-10 and I-75. I-75 is mostly 3 lanes and unlike I-10 the traffic cruises along at 85 mph! I arrived at the 1884 restaurant on time and parked in front with a bunch of other MSTAers, including Brick. There were 25 members present for the lunch, organized by central FL State Director Tom Blake. Tom chose a great venue, the place had great atmosphere and decor and the food and service was great although some of our large group had a long wait for their meal! Eustis is only about 50 miles from Daytona Beach, so after lunch Brick and I meandered a bit before arriving at the Days Inn-Speedway Blvd. The large compound was packed with all types of bikes. The motel provided motorcycle only parking and bike cleaning rags. It was kinda like being at STAR. We checked in, parked and unloaded the bikes and checked out the scene. The place was full of bikers and bikes of every type from racers to cruisers. After a while we got back on the bikes and rode over to the Midway, a large mostly paved area with everything motorcycle adjacent to the track. Several motorcycle factories had display tents as well as demo bikes and there were about 180 accessory vendors. A wide walkpath/road winded down the middle with pedestrians and bikers sharing the road. In the center was a food court with several food trucks and a seating area. 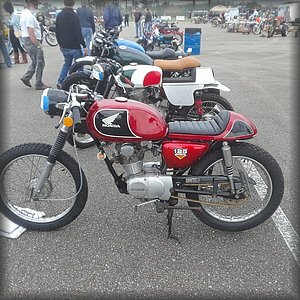 There was a custom bike show and contest and we strolled through checking out some amazing works of moto art! 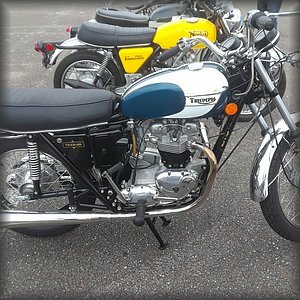 We bought tickets to the TT race and headed inside. The whole front side of DIS had been redone since my last visit with reconfigured grandstands with comfortable chairbacked seats. For the TT, which was run on a temporary short dirt track incorporating the paved tri-oval, seating was limited to a section centered on the start finish line. After getting some food and a beer at the concession stand we found some seats on the 3rd level and had a good view of the action as everything was right in front of us. The first event was the Super Hooligans. Super Hooligan races are run on streetbikes such as the Indian Scout, Harley-Davidson XG750, and the Ducati Scrambler with minimal modifications. I did not recognize the names of any riders I heard announced. The race seemed like batrely controlled chaos. Next came the heat races, AFT singles and AFT twins. The twins are two cylinder bikes mostly 750s but up to 900 and with custom built frames for racing. 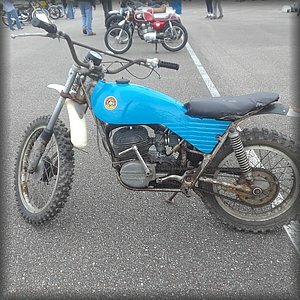 The singles are production based 450cc off road bikes. After the heat races, semi-final races were held in both classes to determine the grids for the finals. The singles final was won by Jesse Janisch, on a Yamaha. The Twins final was won by Briar Bauman on an Indian. 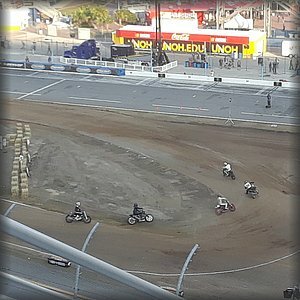 Defending Twins Champion Jared Mees crashed twice in the Semi and failed to finish due to mechanical problems. Friday morning Brick and I headed out in different directions, he to attend more bike week activities and I south to Titusville to the Headricks. I rode east to US 1 and turned south for a leisurely cruise down the coast. I was amazed at how much the area had grown since my last visit but many of the old landmarks remain, Including Pooles Motel and Blackbeards Inn in New Smyrna Beach. I shared a room at Pooles and some dinners at Blackbeards with Harry Trafford, the first Florida State Director and a few other locals during Bikeweek '84. I got to Chuck and Frances's place about quarter to ten. I parked the bike and got some hugs! We had some coffee and got caught up and reminisced about old times. Chuck was South Florida State Director for several years and would open his back yard for camping to half a dozen or so MSTA members attending the Bikeweek races. Many lasting friendships were made in that back yard! Frances's daughter was visiting and I enjoyed meeting and chatting with her and Chuck and Frances around the kitchen table. Around noon we took a ride to Titusville for lunch at Beef O'Brady's, a nice family friendly sports pub chain that originated in Florida. After lunch we spent a pleasant afternoon of conversation and more reminiscing. before I headed to my motel for the night. There had been no rooms available in Titusville that were not way to high but I had found a reasonable rate at the Ramada in Altamont Springs 40 miles away on the outskirts of Orlando. The area has grown so much that several towns are now essentially suburbs of Orlando. Chuck and Frances warned me to stay off of I-4 due to horrible traffic but Zumo managed to guide me ona route that was not too congested except for having to wait for the Sunrail to pass. Sunrail is a double decker commuter train that runs north and south of Orlando, "you�ll find tables where you can sit with your laptop, read the paper, or let the kids draw". Maybe this is the solution to Baton Rouge's traffic nightmare? The Ramada Inn was huge and super nice for the price and surrounded by many good dining options. I dined at Bobby G's Sports Bar and Grill. Saturday morning I headed back to to Daytona Beach to meet up with Brick for the Daytona 200. I headed out on US17 then Ronald Reagan Expressway and FL 415 and then Williamson Blvd which runs to the speedway. I met Brick at the ticket counter and we bought tickets. No more Keech Tower, where the MSTAers had traditionally gathered to watch the 200. The new grandstands are no longer named for famous racers but for corporate sponsors like all other entertainment venues these days. But hey the seats are comfortable and the prices reasobale. We were early enough to get seats with a good view of much of the action. I grabbed a couple po-boys and a beer from the food court before we went in the gate as the selection at the concession stand inside left a lot to be desired. The hot topic in US motorcycle racing this week was Shane Kelly, the the youngest rider at 16 to qualify on poll for the Daytona 200. Although the 200 is now actually a "club" or amateur race the grid was by no means amateur. Included were past winner Danny Eslick, past multiple time AMA Superbike Champion, Josh Hayes and other seasoned veterans. The teenager proved his qualifying was not a fluke in the first segment of the race by battling among the top five with frequent lead changes. However a first piy stop due to a front axle problem while changing tires put him out of the lead lap. Toward the end of the race he was able to work his way back and with a few laps to go he was able to pass the lap two leaders and reach the lead lap. This was crucial as Jason Aguilar crashed in turn one and required medical attention. This brought out the red flag and the race was stopped. As a result the race would be restarted with four laps to go with Bobby Fong, Brandon Paasch, Kyle Wyman, Hayes, Josh Hayes, Geoff May, and Shane Kelly all having a chance to win. Wyman took the lead and held it on the final lap to take the win. The teenager Kelly managed second just ahead of his teammate Fong. Brick and I had no trouble getting to the bikes and out of the track for the short hop to the I-95 North on ramp. We zipped the 7 miles to the Ormand Beach exit and rode west on FL40 to Ocala where we stayed at a Quality Inn, dining at the Ruby Tuesdays next door. On Sunday Brick rode the full 600 miles home to Morganton, NC. He is still a tough old buzzard. The full distance for me was closer to 700 and I was not that homesick! I had planned to stop roughly half way with a direct but back road route to Crestview, FL. However I got an early start and when I realized I would gain an hour and arrive at my motel before 1 PM I did a little meandering. I headed northwest on US 27 and US 19 to Perry but then turned west on US 98. I looped south on 98 and rode along the gulf from Alligator Harbor to FL 65. Along the coast I saw the devastation wreaked by Hurricane Michael in October 2018. There were still huge piles of rubble and for miles and miles of the pine forest 2 thirds of the pine trees had been either blown down or broken off at half mast. I turned back north before I got to Panama City, site of the worst devastation. That would have been too depressing. It was much more pleasant riding north through the Apalachicola National Forest. 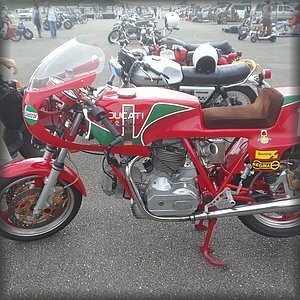 My 330 mile route to Crestview turned into 412 but it was an easy ride. The Quality Inn was great as usual and I walked half a mile to Samuel's Roadhouse for dinner. My last day on the road was uneventful and mostly a retrace of the first 420 miles of my first day. It was one more fine road trip to add to my log, containing many of the top criteria: good weather, good friends, good food, good motorcycle racing entertainment and a good bike beneath me. 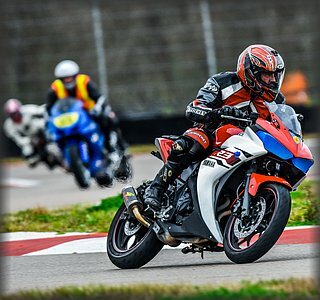 The NOLA Track Addicts got an extra Open Track Day in March thanks to AHRMA which held vintage bike races March 8 & 9. 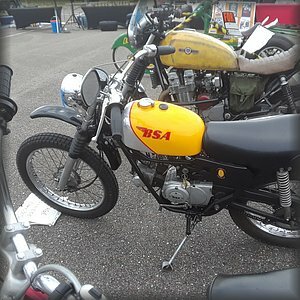 Some of the racers requested an extra practice day so NOLA ran an OTD on Thursday the 7th with AHMRA racers, advanced and intermediate group sessions (no novice) I participated in this and then rode back on Saturday to watch the vintage racers. 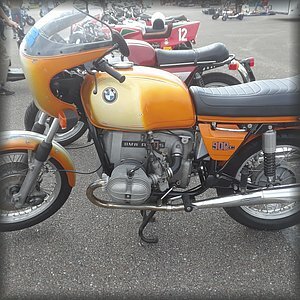 Vintage racing is really a misnomer as they actually run a hodge podge of all kinds of unusual machines in addition to the true vintage bikes. 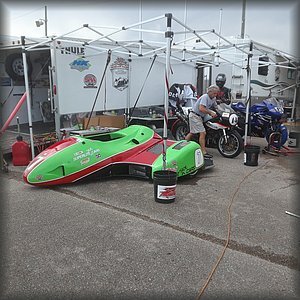 The sidecars were one amazing example. 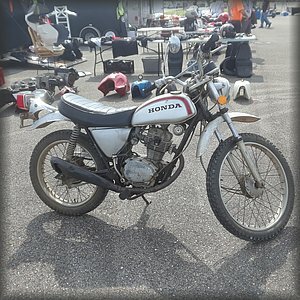 There was also a vintage swap meet with many bikes and parts for sale or just on display. Here are a few pictures. I again would like to solicit any contribution any of you would like published in the next issue. I really don't like this newsltter to come off like the Ninja Bob Blog! Also I encourage members not close enough to participate in our NOLA/BR area rides to organize locally. I will be more than happy to help spread the word. We are also looking into creatinga Louisiana MSTA Chapter Facebook page.